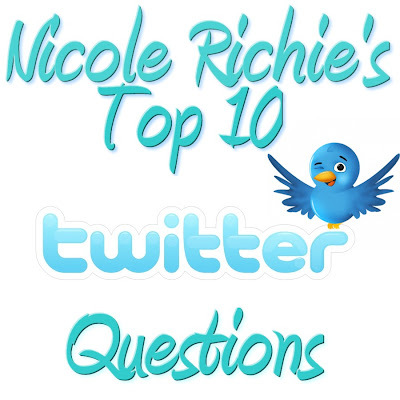 Nicole Richie loves to do top 10 questions for her fans! Here is the latest edition .. @nicolerichie What did u had for dinner? @nicolerichie favorite ride at disneyland? Kid ride, Peter Pan. Adult Ride, Tower of Terror. @nicolerichie can you do a handstand? @nicolerichie who's your role model? @nicolerichie what is the one thing you will NEVER wear? @nicolerichie who wears the pants in your house? @nicolerichie go to nail polish color? @nicolerichie what's ur fav cereal? @nicolerichie what are you going to be for halloween? @nicolerichie What was your worst job? I was a skating school instructor at my ice skating rink when I was 14.
what is the white rabbit?? ?